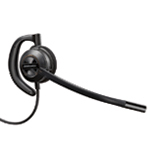 The EncorePro HW530 is an over the ear headset that is ideal the busy office environment. The lightweight design, comfortable ear cushion and flexible microphone make it an easy to wear headset all throughout the day. 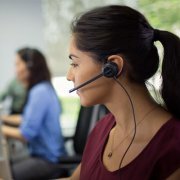 Introducing the Plantronics EncorePro HW530, our over-the-ear design that is an ideal choice for customer service and busy office environments where you need a headset that is easy to put on and take off. The lightest headset in its class, the Plantronics HW530 delivers high-quality audio, a flexible mic with visual positioning guides, soft ear cushions, and lightweight materials for all-day wearing in a durable over-the-ear style. 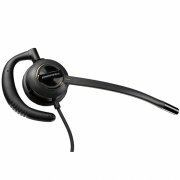 This monaural corded headset enhances all day wearing comfort with it's lightweight and comfortable ear cushion. It's quick disconnect feature provides walkaway convenience and compatibility with all Plantronics USB and desk phone audio processors and direct connect cables.